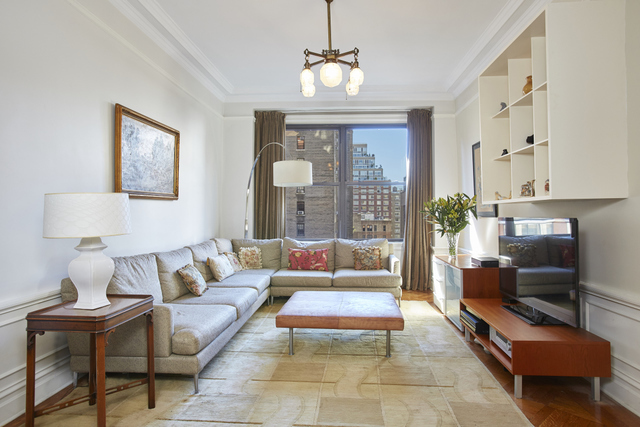 Sun flooded and pin drop quiet, this classic 6 pre-war condominium has soaring ceilings complemented by enlarged windows, hardwood floors, beautifully proportioned rooms, french doors, three exposures and generous closet space. 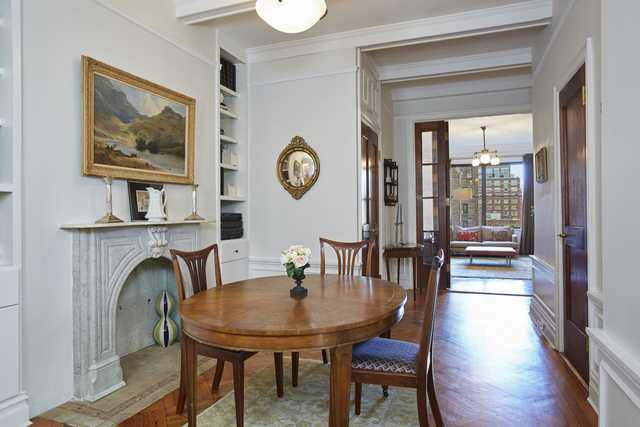 The entrance/ dining gallery appointed with original decorative fireplace leads to a gracious living room. The formal dining room can easily convert to a great room, office and/or study. Renovated windowed kitchen with a full size washer dryer, has excellent countertop space and top of the line appliances, of course! Three bedrooms with ample closets and two renovated white-tiled bathrooms. 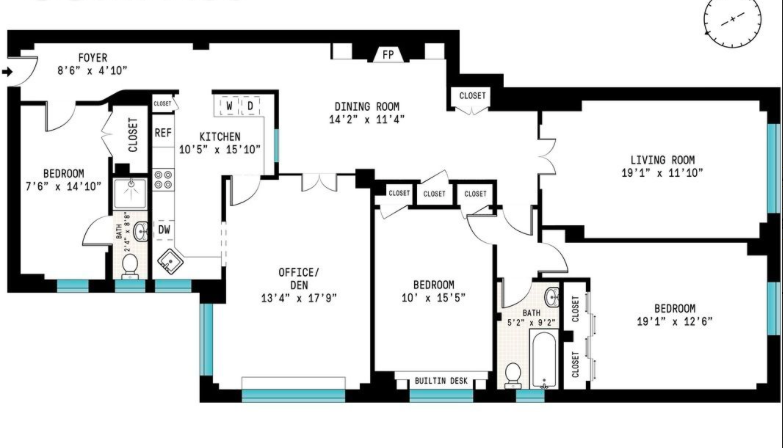 Amenities in this AAA condominium include full time doorman, live in super, landscaped roof deck and storage in the basement. Dogs and cats welcome. Convenient to all west side’s most coveted restaurants, parks, shops and schools, this condominium home will charm you like none other. Floor plan forthcoming.